The above excerpts is one of my favorite chapters from one of my favorite books, “The Greatest Salesman in the World.” It’s such a simple concept – mastering your emotions – but it’s a lesson I find myself re-learning over and over again. So much so that I had to re-teach myself this lesson recently, actually. Yes, I know that sounds weird and like an unreasonable desire. I get it – not many people have the flexibility, let alone the funds, to jet-set whenever they feel like it. Typically that kind of glamour is reserved for celebrities and Saudi princes, not average people with regular jobs, student loans, and only 10 days of PTO. Yet, when I think about my dream life, spontaneous travel, free from financial or work-related restrictions is totally apart of the picture. Someone else might want something different for their life, and that’s cool, but I couldn’t ignore the way I felt in Europe. Every day I was there was a soul-tugging reminder of the life I ultimately want to create for myself. Meaning, deep down, I knew I had the power to make this dream experience my everyday reality but I was chickening out. Deep down, I knew I had the tools, the know-how, the talent…yet there was a teensy part of me that wasn’t going all the way. A part of me that wasn’t stepping up. A part of me that wasn’t doing the work, the full work, I knew I was called to do. In that moment, I realized this wasn’t really about the travel. In truth, this was about my willingness to fully create the life I said I wanted to create. Most ambitious women are willing to figure out what they want. They’re even willing to do the superficial actions – write the business plan, pay for the website, attend the conferences – you know, the “obvious” things they need to do to get closer to their goals. But all that stuff – the visioning, the goal-setting, even taking those first few (or several) steps in the right direction – that’s the easy part. What no one tells you and what it took a 5,000 mile trip for me to figure out is the work that really matters – the hard part – is BELIEVING in yourself. I’m talking about believing in yourself even when you don’t. 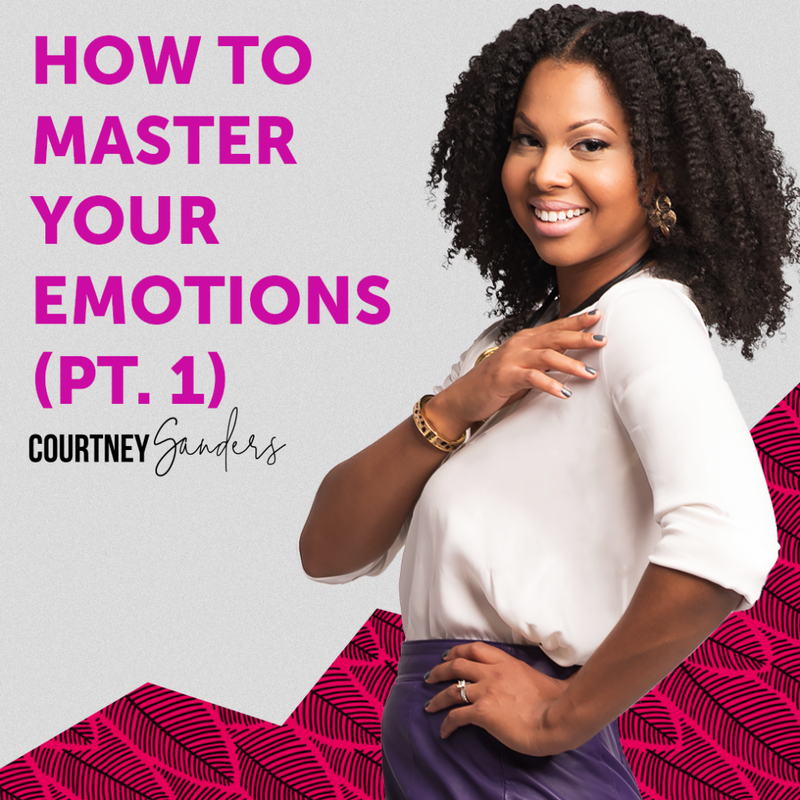 I’m talking about mastering your emotions to the point where you can show up like a GIANT, everyday, even when you feel incredibly small. If I asked you “Do you believe in yourself?” what would you say? You’d say, “Of course!” right? Why else would you be out here doing what you do. But what if I asked if you “Are you bringing your full, authentic self and ALL your God-given gifts to the world every day?” what would you say? But you know what that means. You know because there are days, perhaps several days, perhaps most days where you don’t show up. Not like the woman deep down you know you were meant to be. Yeah, yeah you raise your hand in the meeting. You publish the blog post. You attend the networking event. But you know what I’m talking about because there are those days where, although you are putting one foot in front of the other, you can feel yourself shrinking. The place where you shrunk back was the same place where your dreams were supposed to bloom. For me, I’ve found myself shrinking for a number of reasons. Often I’m fearful about being judged, worrying what people will think. Sometimes I feel like what I have to offer simply isn’t good enough. The reason isn’t that important as they typically all go back to feeling. Simply put, I find myself shrinking when my emotions, for whatever reason, don’t fit the reality I want to create. While it seems harmless in the moment (“I’m having a bad day!” “I just don’t feel like it!”) all those moments were actually chances, opportunities for us to plant seeds that will give way to our dreams. The dirty little secret is this: A seed doesn’t care how you feel when you plant it. Every day, every moment, we are either planting seeds of faith or seeds of fear when it comes to our dreams. And what no one tells you is you don’t have to plant the seed that matches your current emotion. Even when you’re anxious, doubtful, lacking confidence, fearful…you can reach in your pocket and still pull out a seed of faith. As I wandered around Europe, wondering why and how I was holding myself back, I realized the answer was simple. I would plan my work and work my plan, fully, regardless of what my emotions are doing in the moment. To create my dream life, I will be master of my emotions.